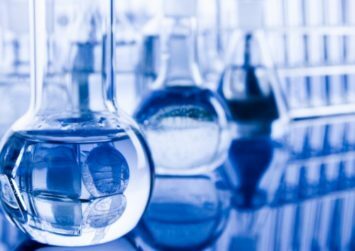 The 2016 amendments to the Toxic Substances Control Act (TSCA) state that by December 22, 2019, the EPA must have at least 20 high-priority chemical substances undergoing risk evaluation. Additionally, by this date, at least 20 chemical substances must have been designated as low-priority substances, or substances for which a risk evaluation is not warranted at the time of the designation. The Agency’s strategy to implement this identification process, called prioritization, has both a near- and a long-term component. The Agency’s working near-term prioritization approach, as well as a proposed longer-term approach, are described in a new EPA document. The EPA says the preparation and content of the document were informed by statements made at a December 2017 public hearing, as well as by comments on prioritization sent to a docket the Agency set up for that purpose. TSCA requires that prioritization must be subject to strict timelines. For example, prioritization must take between 9 and 12 months and a risk evaluation must be completed within 3 years, with a potential 6-month extension. Given this timing, the EPA says it intends to begin prioritization for 20 high-priority and 20 low-priority candidates between December 2018 and March 2019. The Agency has repeatedly emphasized that prioritization cannot proceed properly in the absence of critical information, including information about the conditions of use of the chemicals. The EPA adds that it “intends to resolve any concerns it may have about the sufficiency of information about a given chemical substance for purposes of prioritization … before subjecting that chemical substance to the prioritization process.” When information gaps are identified, the Agency continues, ideally those gaps would be filled early in the process to allow the EPA to complete its screening review by the statutory deadline. TSCA requires that at least 50 percent of the chemicals undergoing risk evaluation must come from the 2014 Update to the TSCA Work Plan. To build the Work Plan, the EPA used a two-step screening process to identify potential candidate chemicals for assessment under TSCA. The Agency identified an initial group of candidate chemicals for review using a specific set of sources and certain factors, such as potential concern for children’s health; persistent, bioaccumulative, and toxic; probable or known carcinogens; use in consumer products; and detected in biomonitoring programs. In addition, the EPA says it intends to select chemicals on the TSCA Active Inventory, which includes chemicals that are not on the 2014 Work Plan. Factors that will influence prioritization of a chemical include listing of a chemical as a priority in other EPA programs; the quantity and quality of information available for a chemical; and the ability to conserve resources and work more efficiently by prioritizing chemicals in groups—for example, chemicals that share certain characteristics (e.g., solvents). The Agency notes that efficiency is critical to the risk evaluation process because once a chemical is designated high priority for risk evaluation, the 3-year statutory deadline for completing the risk evaluation must proceed without interruption. Among several approaches for selecting low-priority chemicals, the EPA says it will refer to information resources that include the Agency’s Safer Chemical Ingredients List, the Chemical Assessment Management Program, and the Organisation for Economic Co-operation and Development (OECD) Screening Information Data Sets (SIDS) assessment documents. These resources reference useful information on chemical hazard and, in some cases, on conditions of use and exposure. For its longer-term approach, the EPA says it intends to select chemicals that are in the TSCA Active Inventory, but not currently on the TSCA Work Plan, and place them into bins that can be used to inform multiple activities and priorities throughout the Agency. The bins will be defined using a combination of scores and information availability. The binning scores will incorporate human hazard relative to exposure, ecological hazard, genotoxicity, persistence, and bioaccumulation. “EPA will be transparent in its implementation of the binning approach, and will actively engage with the public on both the application and interpretation of the results of the approach,” says the Agency. The EPA’s document, A Working Approach for Identifying Potential Candidate Chemicals for Prioritization, is at https://www.epa.gov/sites/production/files/2018-09/documents/preprioritization_white_paper_9272018.pdf.